This year’s Fancy Food Show weekend was a blast. We kicked off the festivities with a wonderful day spent feeding people caperberries at the Good Food Mercantile. 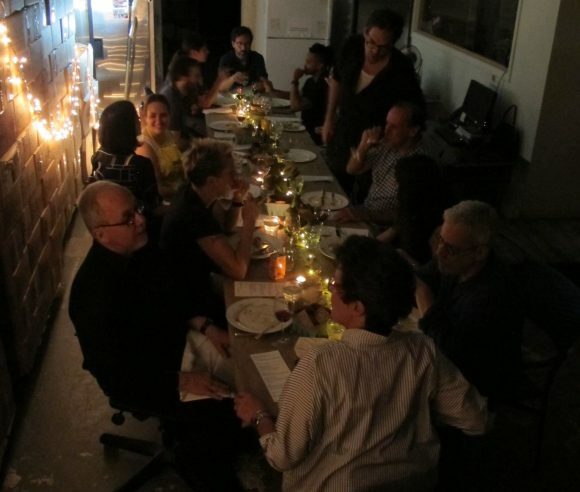 Next up was a killer edition of our Bronx Warehouse Supper Club. This dinner was in honor of our caper producer Gabriele Lasagni, in town from Pantelleria. It’s his company, La Nicchia, who makes our amazing caper and zibibbo grape products. The caper-centric dinner was cooked by one of our favorite chefs, Silvia Barban, with Rick Easton as special guest sous chef! Insalata Pantesca, vitello tonnato, and caper cookies. The icing on the cake (pun intended) was a special Brooks Headly dessert cameo; he sent us some of his famous Superiority Burger gelato. Despite it being perhaps the hottest day of the year, one of our favorite moments of this fun filled weekend was hanging out with Rolando Beramendi in our warehouse. 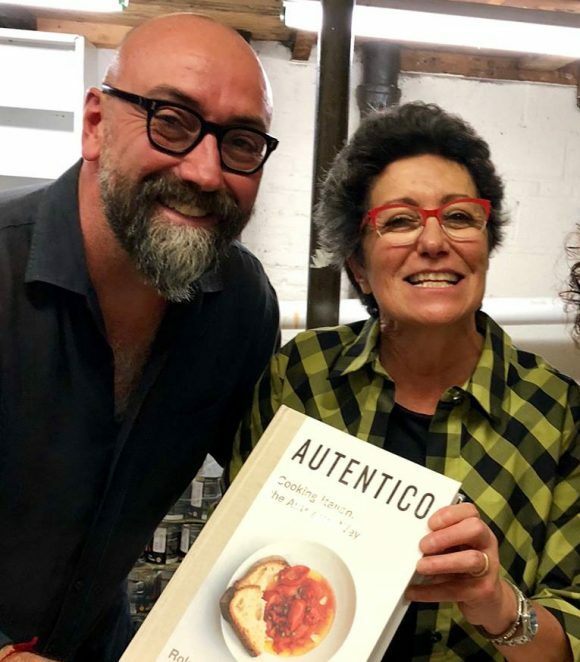 Rolando just published a new book, Autentico. During our Open Warehouse Aperitivo, Rolando presented his book and signed copies. Not only is Rolando a wonderful author, he and his company Manicaretti are our great allies! Gustiamo and Manicaretti are two of the few companies in the USA importing REAL Italian ingredients. We paired Rolando’s book with Zibibbo grape cocktails and our best pizza truck friend Jimmy Coponi’s amazing pizza. See this picture on the left? That’s our friend Alex “The Bronxer” Rivera enjoying some of Jimmy’s Pizza Margherita made with San Marzano Tomatoes! Oh yes, and through all of this we also worked our booth at th Fancy Food Show. The Gusti booth is always the party booth. Just ask David Lebowitz! 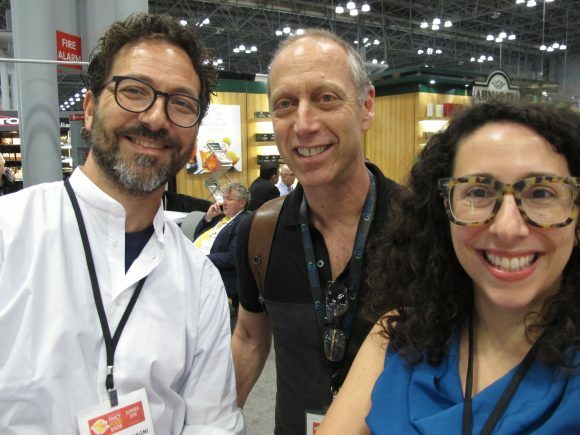 Check out all of our photos from the Fancy Food Show and Fuori Fancy here.